We truly appreciate the time and effort you spent presenting such an entertaining and informative program for our students. Your part in our Reading Night definitely made it a success! Our students and staff are still talking about what a terrific presentation yours was. We hope our students will be inspired to continue their writing endeavors and even become future authors! Many thanks for your great work with our children. The teachers and students of Washington District Elementary thoroughly enjoyed your visit! 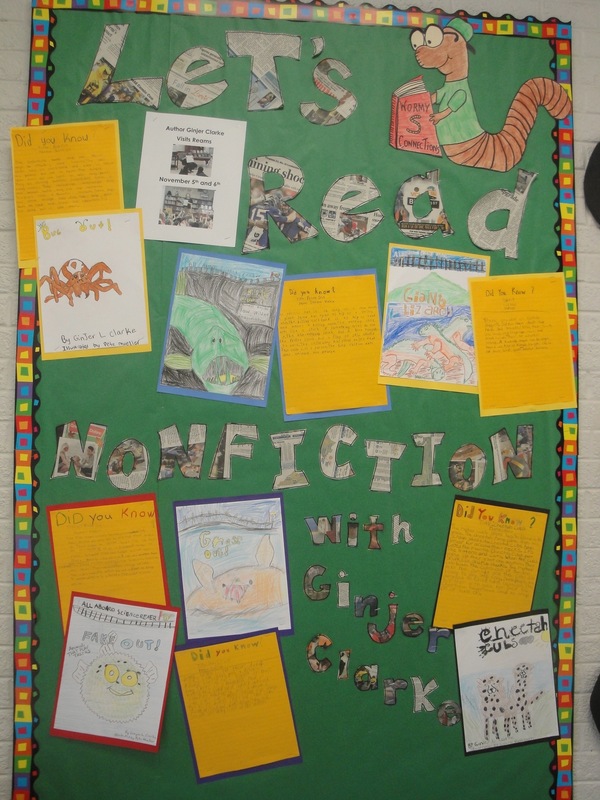 The students have a new spark for animal research and using the writing process. Thank you so much for the amazing visit a few weeks ago! 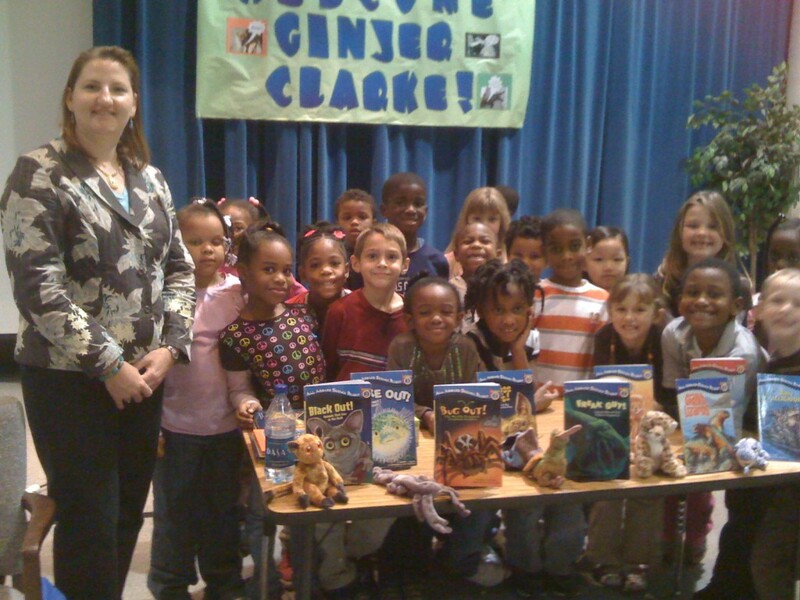 The children were so excited to meet you and hear about your books. I think Gross Out! was a big hit with the 4th and 5th graders. I passed out the recipe for the Owl Barf Balls candy. I know the kids enjoyed it. Also, I’ve sold all of the extra books we ordered! Thanks again for spending the day with us. Our students and staff thoroughly enjoyed your presentations. We are so glad that you were able to come visit Wilderness to share your delightful books. Thank you for appealing to children of all ages. Thank you so much for your presentation to the students at Amelia County Elementary School. You were awesome! Your face-to-fact contact with these children has made a big impact on their lives. From your games with kindergarteners to your writing activity with fourth graders, you connected so well to their abilities. Your visit was a momentous occasion that these children will never forget. Also, thank you for donating copies of your books before your visit. Our October PTA meeting was greatly enjoyed by readers of all ages. 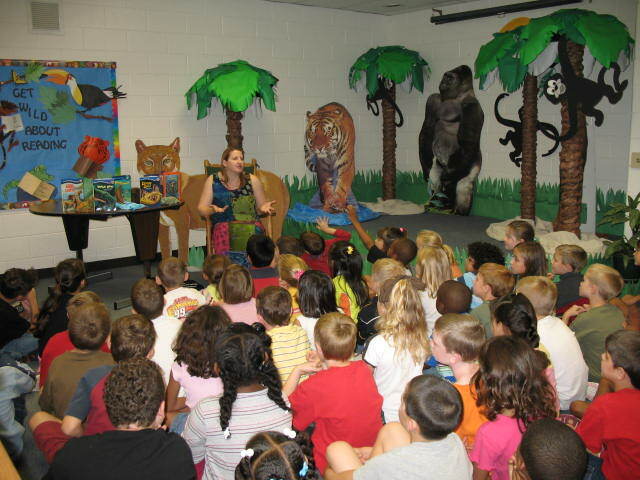 Author Ginjer Clarke enthralled both young and old with her nonfiction, colorful books on animals. She really seemed to capture the children’s attention. I know she had mine. We learned unusual facts about animals we often hear about and some we’ve never heard of. She also took us through the steps of how a book is made. She is delightful to work with and very accommodating. 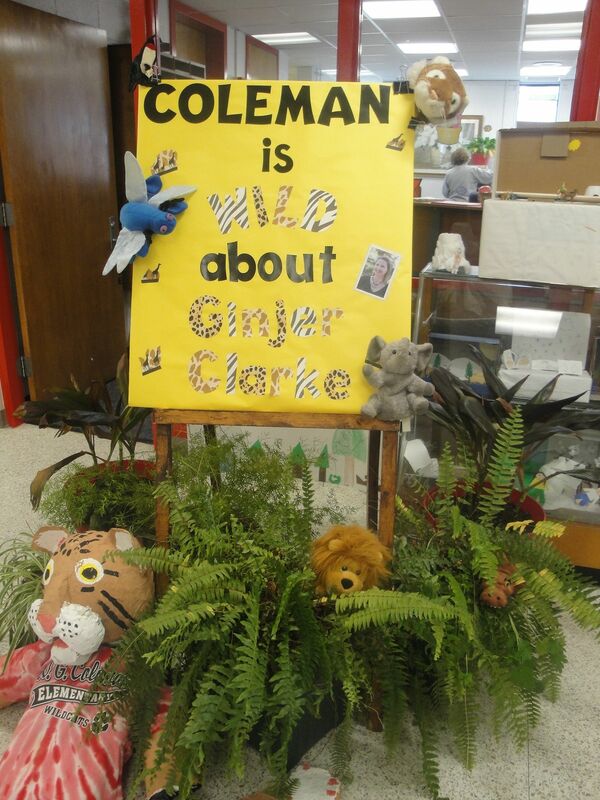 Mrs. Clarke donated an autographed copy of each of her books to our own Pemberton library. The students and teachers are still talking about your visit to Twin Hickory. Many thanks for your very personal sessions with both the students and teachers.I found your in-service to be both informative and entertaining. Your handouts and tips about writing are very valuable and kid-friendly. I will certainly use them in my instruction. Thanks for sharing. The books you donated to our collection are requested almost daily. On behalf of our principal and our PTA, thanks so much for sharing your talents and your gift of books to our library. You did a wonderful job; you really spoke on the students’ level and were extremely patient with them! The students have written/drawn thank you notes for you and I plan to mail them soon. I think that your presentation was perfect for students in grades K, 1, and 2 and that your books are well suited to their interests and reading level(s). I am recommending you to my colleagues in the county! Also, the kids have been CRAZY about your books ever since you were here 2 years ago and buy them like hotcakes at my book fairs. Just a note to thank you for such a wonderful visit yesterday. The kids were so excited, and you did such a great job of talking to them and working with their enthusiasm. I have already sent out notes to my colleagues about how great your visit was, and I look forward to having you back in the future! Thank you, thank you. I would like to thank you so much for coming to our school and presenting us with your book talk. Our children (and parents as well) were thrilled to have you visit us and were even more delighted to hear about all the fascinating animals in your books. The children loved the opportunity to ask you questions, and you were so gracious in answering all of them. Your lovely gift of your autographed books will be a great asset to our library. You were the highlight of our children’s Book Week celebration! Thank you for sharing it with us. Thank you so much for your wonderful presentations last Friday! The children are still talking about you and your books. I love it! And we have sold almost all of the ones left over from presales. I am attaching thank-you notes from the second-grade classes. I think you also gave the teachers some good ideas. I wish you lots of luck and success. I will be looking for your new titles in the future! Ginjer fascinated our children at every level, K-5, with her descriptions of animals, her story of being an author, and some read-alouds that kept them hooked. I particularly liked the way she adapted each presentation to the grade level. The 5th graders were enthralled, and even had a chance to do some writing themselves! Every presentation ended just early enough for Q&A which is so important to address and affirm the students’ own curiosity. Thanks for the great time and the fresh appreciation you gave us of our wonderful animal kingdom.